'Infidel' Writer Pornsak Pichetshote: The Horror News Network Interview - Horror News Network - The Horror News You Need! Most horror comics fall into three broad categories: Tales from the Crypt style shockers, creature features, and gore fests. 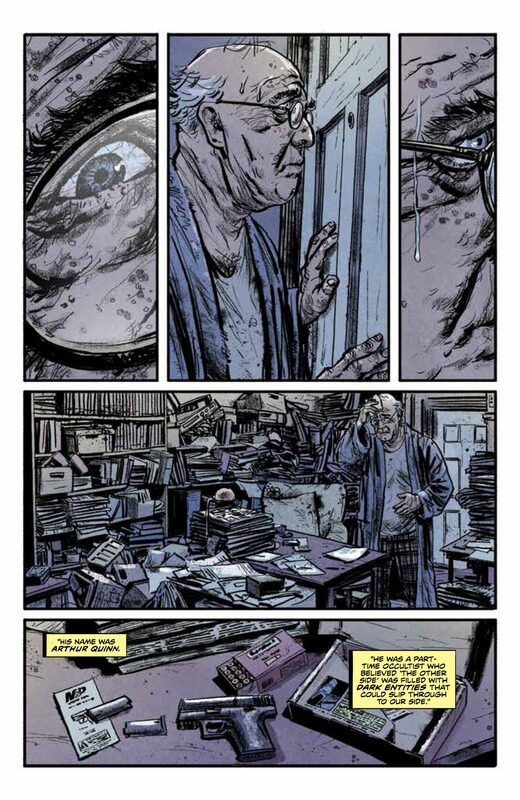 Very few are able to incorporate horror elements and topical subtext to transcend the genre, but Image Comics Infidel by Pornsak Pichetshote and Aaron Campbell certainly does. We were happy to get to a chance to talk to Pichetshote about the series, his influences, and the exciting news that Infidel will become a major motion picture very soon. 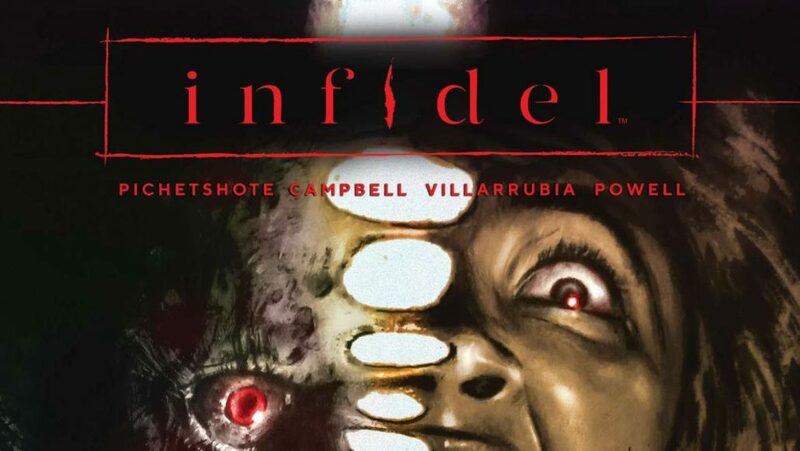 Horror News Network: Where did your inspiration for ‘Infidel’ come from? Pornsak Pichetshote: I came up with the idea of Infidel years ago, back when Obama was still president, and it was something I slowly developed on my off-hours. Back then, the initial spark came from how people were talking about this post-racial society we’ve become because of our black president and yet had no problem with the rampant Islamophobia on the increasing rise. That dovetailed with my love of horror movies, and suddenly I found I had one of those ideas that was so simple but provocative I couldn’t believe anyone hadn’t done it sooner. As the years passed – and the themes of the book became more and more relevant to the world – I felt like I couldn’t just have the idea collecting cobwebs, I needed to put this book out there. HNN: Infidel is one of the more unique and though-provoking horror comics to be released in a long time. How do you balance the psychological horror along with the supernatural elements of the book? 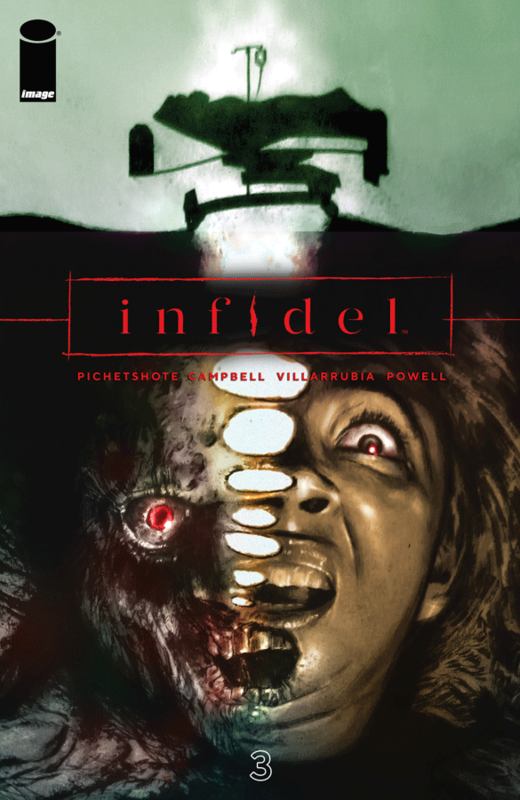 Pichetshote: If INFIDEL feels different than other horror comics, it’s probably because so much of the book is kitchen-sink drama until the supernatural stuff pops up, and that’s what I Iove about writing the book and wish I saw more of in comics in general. (This is the part where I plug Jeff Lemire’s Royal City, because it’s exactly that comic and why I love it.) Since we are a horror book, though, I spend a good amount of time figuring out how many supernatural scares should go in each issue and how to escalate them so they aren’t redundant of each other. Once that’s all in place, it’s just a matter of trying to keep the reactions of the characters as realistic and emotionally honest as possible. HNN: Aaron Campbell’s artwork fits your story perfectly. What does Campbell bring to the story in terms of the visual medium? Pichetshote: I can’t tell you how lucky I feel that Aaron even exists as an artist, much less is working with me. My editor, legendary artist and comic book colorist Jose Vilarrubia and I knew we needed someone with a somewhat realistic style to handle the book’s multi-racial cast, since when you try to do multiple ethnicities in too stylized a manner, those depictions has the potential to run to the offensive side of the gamut. And yet, Jose and I both like a little expressionism to our art, so we knew we wouldn’t like someone rigidly photo-realistic. On top of that, he had to draw scary, which – while there are a lot of artists drawing horror comics – there aren’t a ton who actually draw scary. On top of that, we wanted a professional that we could trust wouldn’t flake out on us. On top of that, he had to not be scooped up by Marvel and DC. So it felt like an almost impossible task. 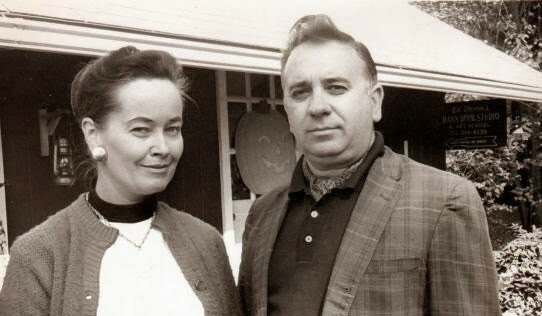 But Aaron fit all those bills and not only that, we both saw eye to eye in terms of horror and the themes of the book. HNN: Readers have now reached the third issue in the series and this issue in particular experiments with a number of storytelling techniques in terms of the script and artwork. How do these elements further emphasize the themes in the middle of the story? Pichetshote: I hate to explain things too much while a story is still running, since I believe part of the fun of reading something serially is to come with your own interpretations of what it “means,” but I think it’s safe enough to say that in an issue that deals so much with our different characters’ numerous interpretations on what’s happening in the story (and the world and culture at large), felt like the right issue to play around with different storytelling techniques and how the reader was experiencing that story. HNN: You started at Vertigo Comics as an editor. What are your memories of working with Karen Berger and what did she impart to you about comics and storytelling? Pichetshote: God, I have so many great memories of working with Karen and everybody at Vertigo – Will Dennis, Mark Doyle, Shelly Bond, Greg Lockhard, and so many more. I miss talking to her on a regular basis and was just texting with her the other day, actually. 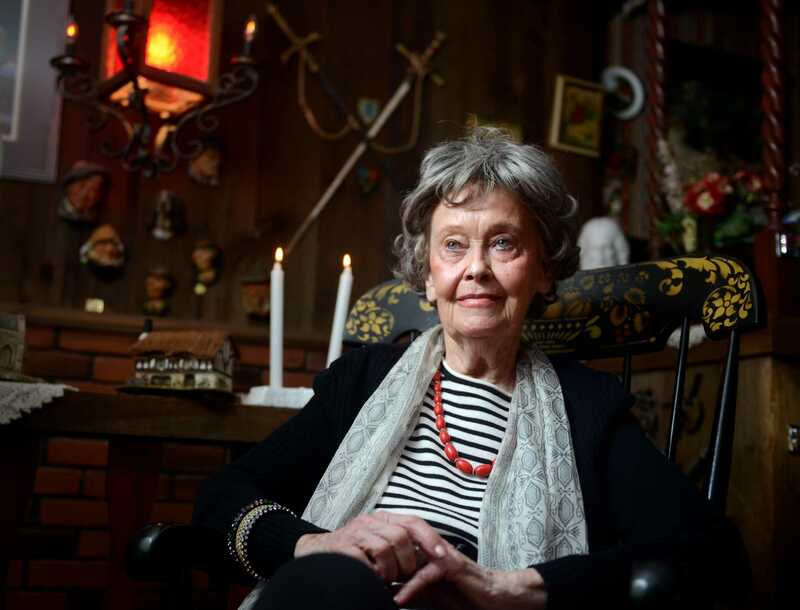 I honestly can’t put into words how much I learned working with Karen, but in the hopes of offering a somewhat useful answer, I’ll try to articulate one concrete thing – and that’s an appreciation of what horror can do. The funny thing about Karen is, even though she’s edited the best horror comics the medium has to offer, she doesn’t consider herself a horror fan. But we worked together on a comic called Mnemovore by Hans Rodionoff, Ray Fawkes, and Mike Huddleston. 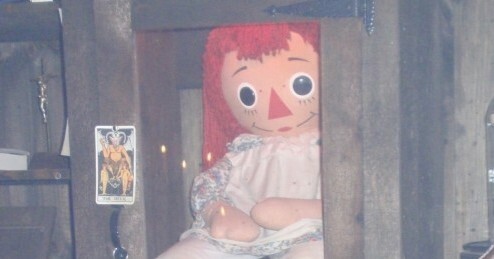 Through that, I saw horror through her eyes. The thing about genre is that the best people who work in it bring a specific expertise to help ground and elevate the material. A knowledge of science helps sci-fi. A knowledge of police procedure or crime procedure helps elevate crime books. While I was working with Karen, I realized the thing that elevated horror was a knowledge of human psychology and the taboo. That’s the stuff Karen’s interested in, and it’s those interests that elevates all the horror books she’s worked on, even though she may not be a big fan of the genre itself. Once I understood that, I really fell in love with horror and everything it can do. HNN: The characters in ‘Infidel’ focuses a great deal of time struggling with paranoia and fear, both of the natural and supernatural variety. How do you strike a balance between these two worlds in a horror story? Pichetshote: It’s funny, because a lot of readers have seized on that aspect of the book and the way we balance the two, but that wasn’t as deliberate a choice as a lot of the other things on the book were. A lot of it comes down to being true to the characters, and that if you’re a sane person in an insane world, you start to doubt your sanity. From there, it was being true to the emotions and where all the characters are coming from with all that. It’s been very interesting watching how powerfully people have been reacting to the fear and paranoia of the book, which I think is just as much a testament to the world right now as it is the book. HNN: One aspect that fans have responded to is the fact that there are no easy answers to the problems in the story when it comes to prejudice, and this is primarily filtered through Aisha and Medina. How do they differ with how they react to their situations? Pichetshote: This is another one of those tricky questions to answer, because I don’t want to ruin the fun of reading and interpreting what the book “means,” so all I will say is the contrast between Aisha and Medina’s outlooks on everything that’s happening is, in my mind, ultimately what Infidel is about. HNN: What do we have to look forward to as Infidel (unfortunately) wraps up soon? Pichetshote: I do have a new book that I’m starting work on, but I’m afraid it’s too early to get into details about it. I actually can’t talk about a lot of the stuff I’m working on now, so there’s a chance next year I’m going to annoyingly seem all over the place. I totally just jinxed myself. HNN: Thoughts on your work being optioned as a feature film? Pichetshote: Well, it’s enormously flattering for one – and super surreal that other people besides your Mom believe something created from your personal fears deserves a bigger audience. And having one of the people believing that be someone who won an Oscar for producing political material. That said, I’m very focused on wrapping up the comic and making sure everyone thinks the book is better! Infidel #3 is currently available at finer comic book stores everywhere. Infidel #4 will be released on June 20.